The Chicago Bears are excited to have Allen Robinson signed and ready to become the number one wide receiver. The Bears signed Robinson to a three-year $42 million contract which is pretty exciting because he’s only 24 years old. Prince Amukamara, also recently signed to a three-year deal by the Bears, is a former teammate of Robinson’s and apparently knows him pretty well. They practiced together often in 2016 when they were both on the Jacksonville Jaguars. Here’s some recent comments he made about Robinson’s skill level and practice habits. At 6’3″, 220lbs, it’s easy to envision Robinson creating “nightmares” for opposing cornerbacks. He displayed this in 2015 when he had 1400 yard receiving and 14 touchdowns. Amukamara didn’t stop there, he went on to discuss Robinson’s future potential and his determination to get back to the top after tearing his ACL in 2017. Robinson won’t turn 25 until August and combined for 153 receptions, 2,283 yards and 20 touchdowns between 2015 and 2016. It’s clear that Amukamara has a high level of respect for Robinson and he made that known. Robinson recently spoke to Adam Schefter about his rehab and said he intends to be cleared “well before” training camp begins. The confidence is a breath of fresh air with optimism bleeding through the streets in Chicago. A brand new coach in Matt Nagy, five new free agents in Robinson, Trey Burton, Taylor Gabriel, Chase Daniel and Aaron Lynch plus a second-year quarterback with limitless potential. 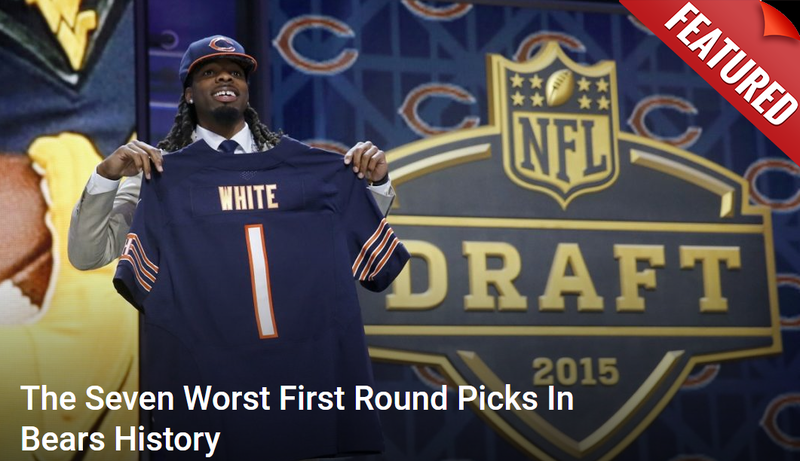 It’s an exciting time to be a Bears fan.